A relatively new variety, bred from an older garden favorite called ‘Firepower,’ this highly versatile evergreen nandina has curling foliage with new growth that is soft rosy pink; the color lasts well into the warm season. As cold temperatures arrive in the fall and winter, the foliage turns a bright beautiful red. Growing at a moderate to fast rate in full to part sun, these tough shrubs can even tolerate shade. The growth habit is more open in shadier locations and its color will not be quite as distinct as in full sun. After a year of proper care, you’ll have a wonderful, low maintenance plant that requires very little attention. Not particular about soil, Blush Pink Nandina can adapt to almost any situation. Deer resistant and free of pest and disease problems, there’s a place in every garden for these easy-to-grow plants. 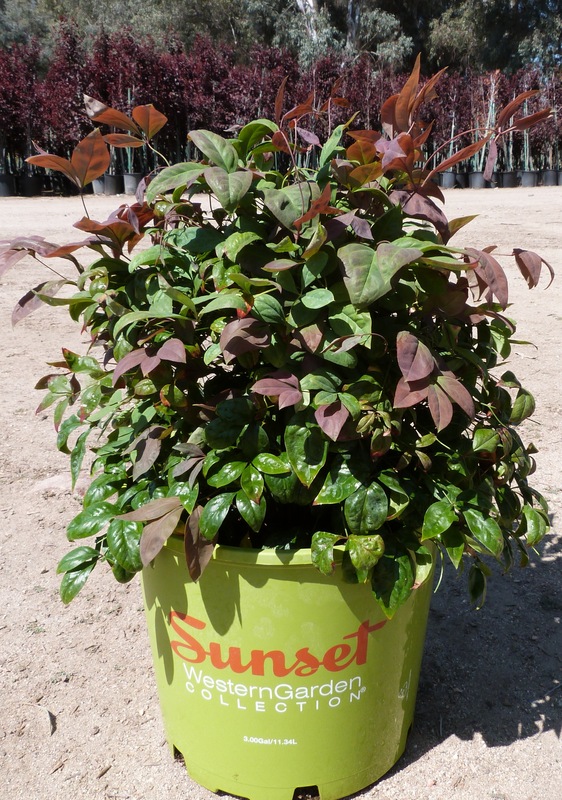 Once established, Nandinas are drought-tolerant and need only occasional fertilization. It’s dense compact size makes it perfect for blending in with perennials, growing as a short foundation hedge under windows and in container plantings.